We are proud to announce that our MVP Jan Ketil Skanke is invited back to speak at scug.se again this spring. He holding a session about Intune Mobile Application Management. Don’t miss out of this great event. 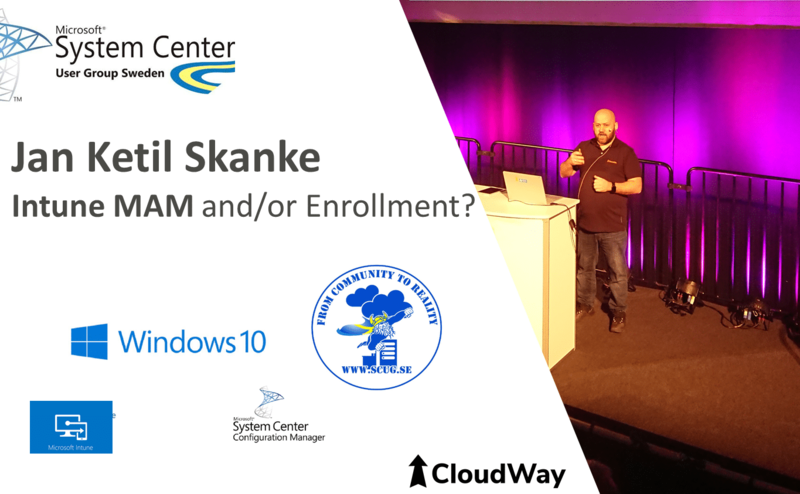 The Session: Intune MAM, and/or Enrollment? Today many users want to be able to use any device to do their work. They have privacy concerns and don’t want their personal devices managed by their employer. On the other side, IT need to be able to secure that company data is secured and that they are able to control what happens to the data after users has access. In this session you’ll learn how apps can be managed by Microsoft Intune Mobile Application Managment and EM+S and get better insight into weather you need to enroll your devices or not into MDM.